Receiving regular dental care is an important aspect of enjoying a clean, healthy, and beautiful smile. For some people, though, visiting the dentist is an uncomfortable or even frightening experience. We understand that it can be difficult to let someone else peek into your mouth -- and if you are afraid of needles, you may have an added layer of anxiety for specialized procedures. If that sounds like you, your dentist in Tyler has some great news. With the help of The Wand, Dr. Dennis E. Stansbury practices pain-free dentistry! Keep reading to find out exactly what that means, and how it can help you love dental care again. Why Choose Stansbury Dental for The Wand? 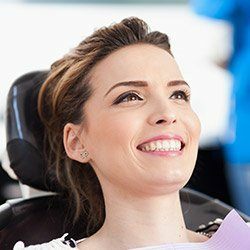 Many dental procedures require the use of local anesthesia to numb the treatment area before your dentist can get to work. However, few people like injections with needles -- and some people are so afraid of the idea of that initial pinprick that they avoid visiting the dentist altogether. This delay of care can result in far greater oral health problems like severe tooth decay and gum disease that leads to the deterioration of gum and bone tissue. That’s why finding a solution for dental anxiety is of the utmost importance for oral and overall health. The Wand offers pain-free injections at long last. It is a computer-assisted anesthesia system that works by using a very small needle with a controlled injection to reduce pressure and slow the rate at which the numbing medication enters the area. The result is an injection that you will not even feel -- we promise. As the patient, you will experience a number of benefits alongside pain-free injections with The Wand. We have listed some of the most significant below – which will you enjoy most? 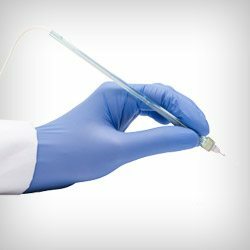 The Wand is significantly more comfortable than traditional injections that are performed with a syringe. There is reduced anxiety at the dentist’s office thanks to pain-free injections. The Wand does not produce the same numbing effect of the entire face. You can go right back to work without difficulty speaking or smiling. You will feel confident knowing your dentist’s office uses the latest in technology! 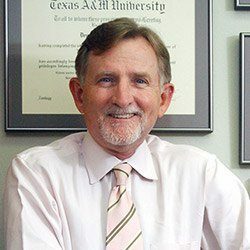 Dr. Stansbury and our team take great care to make sure that your visits to Stansbury Dental are as pleasant and relaxing as possible, and The Wand is just one example of our commitment to patient comfort. You and your loved ones can feel completely at ease under our care thanks to state-of-the-art tools and our warm, personalized approach. Tyler families and friends love visiting our team of dental professionals!